2017 marks the 30th anniversary of the Northern Consortium Charity and NCUK, a collaboration of leading UK universities including the University of Sheffield, dedicated to giving international students guaranteed access to universities worldwide and helping them succeed when they get there. 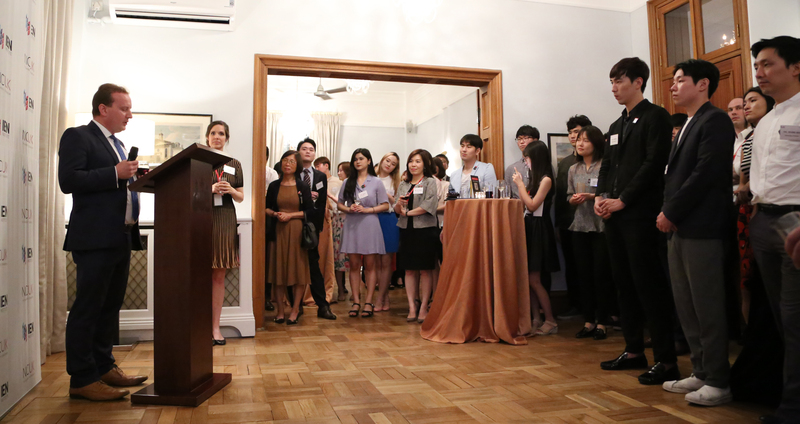 To mark the occasion and celebrate continued success, the IEN Institute joined with NCUK on 3 August 2017 to hold their first alumni event recognising the success of students that have progressed through the partnership in Korea. 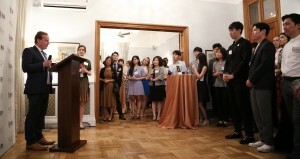 Dr David Littlewood, Divisional Director for Impact, Innovation and Engagement at the Management School (pictured above, left), attended the event held at the British Ambassador’s Residence, Seoul, South Korea, meeting with Sheffield alumni and delivering a speech. IEN has taught over 800 students and helped them to achieve their dream of studying in the UK. The centre will celebrate its 10th anniversary with NCUK in 2018. This entry was posted on Monday, September 4th, 2017 at 09:24	and is filed under Alumni, Recruitment, Student. You can follow any responses to this entry through the RSS 2.0 feed. Both comments and pings are currently closed.